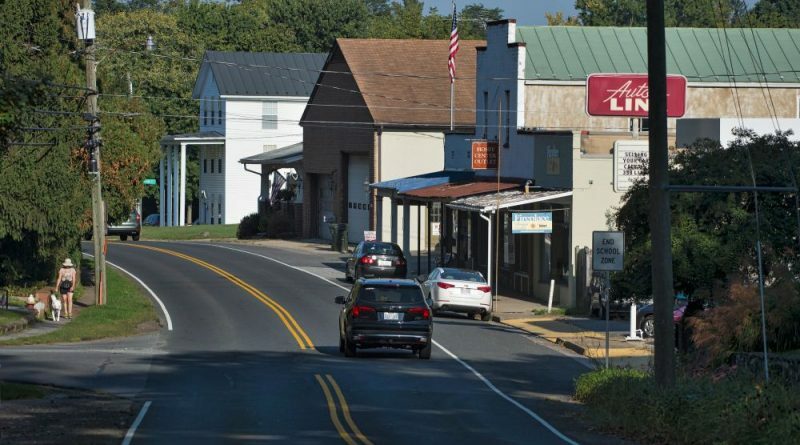 Following suit with the Town of Hillsboro, the Hamilton Town Council on Monday night adopted a resolution opposing construction of the Rockwool manufacturing plant in West Virginia, with other western Loudoun towns not far behind. The council voted unanimously to request that Gov. Ralph Northam, Attorney General Mark Herring, the Board of Supervisors and state and federal representatives take “any and all legal action to bring an immediate halt to the construction of the Rockwool facility until a more comprehensive study of its impact on Virginia has been completed.” According to the resolution, winds could carry the plant’s 392 annual tons of hazardous air pollution from Jefferson County across the border and into western Loudoun’s air and water systems, which could harm residents, livestock and plants. The Danish company Rockwool melts rock to spin into mineral wool insulation. That process will be undertaken at a new, 460,000-square-foot plant in Ranson, WV—about nine miles from the Loudoun border and 16 miles from Hamilton. Mayor Dave Simpson said the plant’s construction may be rushed a bit and that pausing to conduct a study would help to determine its potential effects. “We don’t want to take jobs away from people, but at the same time we don’t want to kill the environment,” he said. Hamilton’s action comes six weeks after the Hillsboro Town Council voted to approve its own resolution, which also pressed for either the State of West Virginia or Jefferson County, WV, to pay for local air quality sampling if the plant becomes operational. As for other western Loudoun towns, the Middleburg Town Council is planning to pass a similar resolution at its meeting this Thursday, while the Round Hill Town Council is set to do so on Dec. 20. In Purcellville, Mayor Kwasi Fraser said that the town’s Tree and Environmental Sustainability Committee is looking to draft a resolution for the Town Council to consider within the next month. Lovettsville Mayor Nate Fontaine said that the Lovettsville Town Council is working to schedule a presentation from the Loudoun Against Rockwool group before it drafts and votes on a resolution in the next month or so. The Board of Supervisors in October voted unanimously to ask the Virginia Department of Environmental Quality to perform an up to $265,000 study to assess the plant’s potential impacts on the county and to install an air quality monitoring station in western Loudoun. According to Loudoun Against Rockwool’s data, Rockwool estimates that it will emit 478,000 pounds of carbon monoxide, 143,000 pounds of nitrogen oxide and 943,000 pounds of volatile organic compounds each year at its new location. The group also found that Rockwool’s Mississippi plant had a toxic release inventory of about 425,000 pounds in 2017. Many western Loudoun residents are now concerned that the toxins emitted from the West Virginia plant will seep into the region’s waterways and work their way into Loudoun.